Claremont Cottage Stables offers very comfortable, warm and well equipped self catering accommodation in a quiet and secluded location, just ten minutes from Edinburgh city centre. 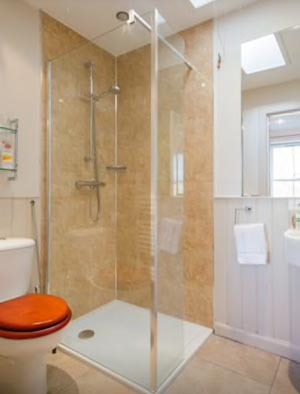 The cottage is traditionally built and has recently been renovated to a very high standard providing luxury, stylish accommodation and every possible convenience. Edinburgh is home to amazing events from ceilidhs and rugby games at Murrayfield to the spectacular Military Tattoo and world-famous Hogmanay celebrations; a great variety of tours from city sightseeing buses to ghost walks, limousine rides and unique trike excursions and fabulous attractions, from iconic Edinburgh Castle to the National Museum of Scotland, great theatres offering excellent shows to the Royal Yacht Britannia and outdoor attractions ie golf, sailing, tennis, walking - not to mention all the fabulous Festivals! 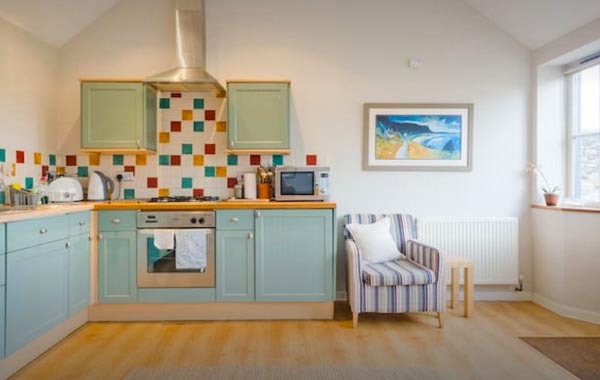 Claremont self-catering cottage is ideal for business or holiday guests wanting to visit Edinburgh and also provides an excellent holiday base for those touring in Scotland. This lovely Edinburgh accommodation was originally the stable block and groom's accommodation for the owners' Georgian house. The house and stables sit very privately in walled grounds of about an acre and feel entirely private and secure. The accommodation comprises: a double bedroom with en suite shower room and a fully equipped open plan sitting room, dining room and kitchen. The kitchen is fully equipped with everything you'll need for your self-catering holiday in Edinburgh. The sofa is also a comfortable sofa bed. There is also a small storage room for suitcases with a washer/drier which is very handy. Guests are welcome to sit in the beautiful garden - a perfect spot to relax in peace and quiet after a busy day sightseeing! It's hard to believe you are minutes from the busy city yet in such a tranquil haven. The cottage is a short taxi or bus ride from Edinburgh City Centre and about 30 minutes from the airport by taxi. Buses run from within 200m of the house and run every 10 minutes during the day, taking only a few minutes to deliver you to the centre of town. All bed, bathroom and kitchen linen is provided. Central heating, hot water and electricity are all included in the rental price. Changeover day is flexible with a min 3 night stay. 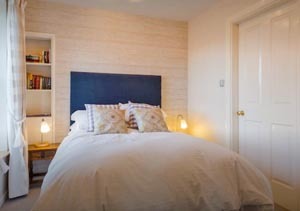 To book this gorgeous Edinburgh self-catering cottage, click the enquiry button below and see availability and prices. 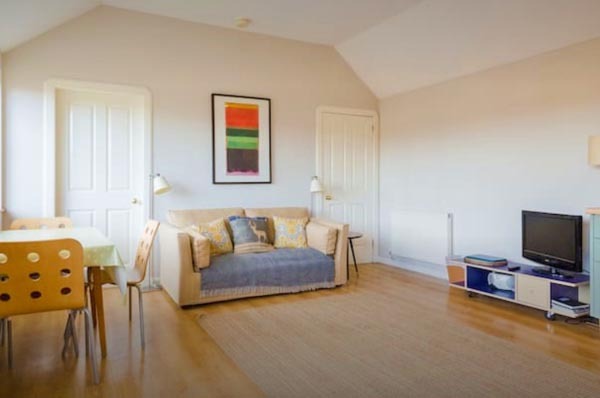 This is perfect Edinburgh accommodation as it's just 10 minutes from the city centre and you can return to a tranquil haven away from the noise of the city. Relax in the pretty garden after a day's sightseeing and discuss all the amazing things you'll have seen and done. It's also a great base for exploring much of Scotland!